now voyager. : saut dans le vide. 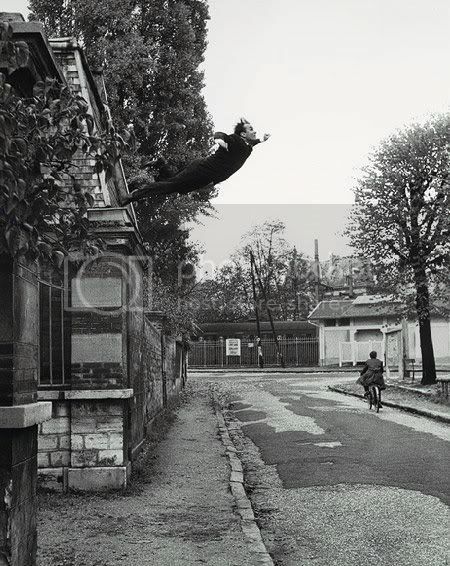 yves klein used this photograph as evidence of his ability to undertake unaided lunar travel. it was published as part of a broadside denouncing NASA's own lunar expeditions as hubris and folly. the final image is a photomontage in which the large tarpaulin klein leaped onto was removed. now that sounds like hubris and folly. whatever, he's still the creator of my favorite color ever. the idea of gluing something onto something else.